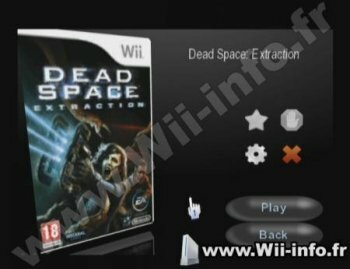 Wiiflow est un USB/SD Loader pour lire les backups de jeux Wii sur disque dur USB, clé USB ou carte SD ainsi que le formatage WBFS/NTFS/FAT32. L'interface est basé sur un "coverflow" affichant les pochettes des jeux. Wiiflow et Open Wiiflow étant abandonnés, voici une nouvelle version par Fledge68. fixed downloading flat front covers. saved in proper folder now. no longer stretched to cover entire box. fixed game/banner sound sometimes memory leak. fixed custom missing covers, broken in last release. fixed theme config saving via '1' button on home menu. broken in last release. fixed magic #'s for short covers. broken in last release. fixed source menu button autoboot for realnand and emunand sources. fixed wfl_as_wiiflow to use correct stub.bin to return to wiiflow after a plugin game. fixed Select Plugin menu when using nand and emunand plugins. replaced 'init network' with 'mount SD only' on startup settings menu. added reboot when 'SD only' is changed. changed and added a few gecko prints. added GC banner sound options by einsteinx2 to page 11 of main settings menu. now using font.ttf in imgs folder as default font. it looks better. added plugins 'game info' menu with snapshots and cart/disk pics. big thanks to wiimpathy for all the database xml's and gathering all the pics and writing the code. added custom coverflow background via source menu button. add 'background=img_name.png or .jpg to any source menu button. 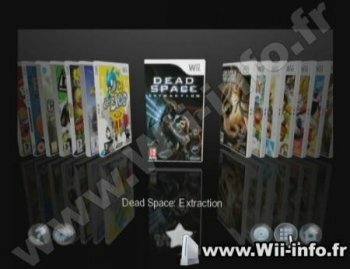 put the background images in wiiflow/backgrounds. added option to use theme subfolders for the backgrounds and source tier backgrounds. put a folder named the theme in the backgrounds folders and put your images in it. these backgrounds will only load if using that theme. added option to use multiple homebrew plugins each with it's own romdir=. first six characters of magic# must be 484252. the last two can be random. restored homebrew to use coverflow with favorites, categories, and adult only. added fix to make sure -0.00 shows as 0.00 for values on adjust coverflow menu. on adjust coverflow menu, moved parameter selection from middle top to next line on left to keep from mixing with coverflow title. now when changing coverflow layout with '1' and '2' the current cover stays as the current cover. added 'Lock coverflow layouts' option to page 12 of main settings. if set to yes this will disable the 1 and 2 buttons to keep users from switching flow layouts. moved source menu settings to page 12 of main settings. no more pressing 'home' while viewing the source menu/flow. moved homebrew settings to page 12 of main settings. no more pressing 'home' while viewing homebrew flow. replaced homebrew button on main screen with categories button. new images thanks to Hakaisha. no more 'B' on favorites star. replaced adult only button on game selected screen with categories button. no more 'B' on favorites star. 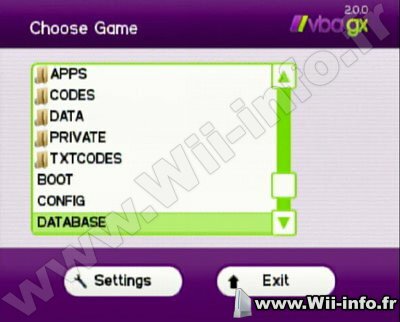 adult only option now replaces the categories option of the game settings menu page 1 line 1.
locking wiiflow no longer blocks homebrew access. you must use the adult only option for each homebrew app to block kids from accessing it. adjusted the position of main buttons on main screen and moved the song title to very top of screen. many language updates thanks to DDinghoya (korean), Brawl345 (German), and CrewMDK (spanish, english). Tantric, avec l'aide de Emu_Kidid, a diffusé un nouveau portage de Visual Boy Advance, un émulateur GameBoy (simple, couleur, et GBA) pour la Nintendo Wii. Front SD, Wiimote, USB etc supportés. Mettez vos roms dans SD:/vbagx/roms ou USB:/vbagx/roms. RetroArch est un émulateur multi plates formes utilisant la libRetro, et permettant ainsi d'avoir le même code pour les versions Wii, Xbox, pc etc, et la libRetro s'occupe de tout ce qui est spécifique à la plate forme. – ANDROID: Add sustained performance mode, can be turned on/off in Power Management settings menu. – ANDROID: Powerstate/battery level support. – CHEEVOS: Fix crash when scrolling Achievement List while Unofficial Achievements enabled (#6732). – CHEEVOS: Added hitcounts support for PauseIf/ResetIf (#6817). – COMMON: Automatically hide “Configuration Override options” in Quick Menu. – COMMON: Small Bugfix to not trigger savestate code when pressing Reset. – COMMON: Added libsixel video driver. – EMSCRIPTEN: Fix Game Focus Toggle. – HID/OSX: Fix to set hid device registration deterministic (#6497), to address issue #6640 re-adding dynamic device registration. – MIDI: Add MIDI support to the libretro API. Dosbox is the first proof of concept core implementing libretro MIDI. – MIDI: Add a Windows driver for MIDI, based on winmm. – MENU/QT/WIMP: Qt QSlider styling for Dark Theme. – MENU/QT/WIMP: Remove button ghostly inside highlighting. – MENU/QT/WIMP: Initial grid view. – MENU/QT/WIMP: Drag&drop to add new playlist items, add option to add/edit/delete playlists. 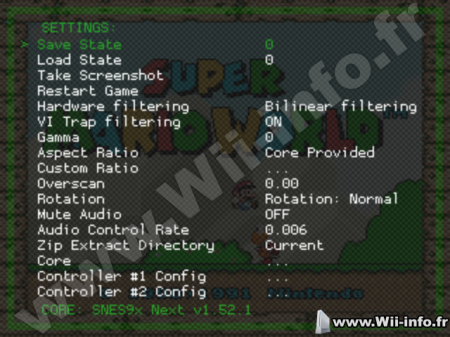 – MENU/QT/WIMP: Add menu option to update RetroArch (Windows only for now). – MENU/QT/WIMP: Add menu option to manage shaders. – MENU/QT/WIMP: Add menu option to manage core options. – METAL: Initial work-in-progress video driver for Metal. macOS-only right now, and currently requires macOS 10.13. – METAL: Supports XMB/MaterialUI, has a menu display driver. Has a font rendering driver. – METAL/SLANG: Slang shaders should be compatible with Metal video driver. – NETWORK: Enable SSL/TLS support by default for desktop platforms. – QNX: Fix Game Focus Toggle. 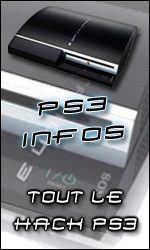 – PS3: Add audio mixer support for FLAC and MP3. – PSP: Use proper button labels, fix inverted R-Stick Y axis. – REMAPS: Fix the way offsets are calculated for keyboard remapping. – RUNAHEAD: Fix full-screen mode change breaking Secondary Core’s environment variables. – RUNAHEAD: Deterministic input for RunAhead, guaranteed to match the last polled. – VITA: Use proper button labels, fix inverted R-Stick Y axis. – VITA: Add imc0: mount. – VITA: Use sceCtrlIsMultiControllerSupported to detect. – VULKAN: Fix two validation errors. – VULKAN: Try to avoid creating swapchains redundantly. Should fix black screen and having to alt tab out of window again to get display working on Nvidia GPUs (Windows). – VULKAN/OSX: Initial MoltenVK support. Not enabled yet, several MoltenVK bugs should be fixed first before we can have it fully working. – WINDOWS/DINPUT: Add rumble support. – WINDOWS/DINPUT: Fix Game Focus Toggle. – WINDOWS/RAWINPUT: Fix Game Focus Toggle. – X11: Fix Game Focus Toggle. 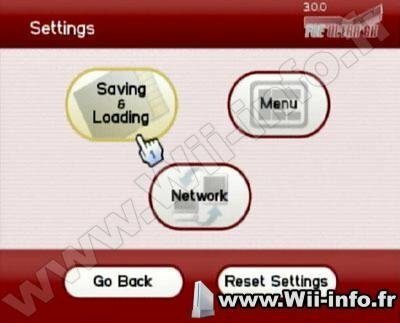 – WII: Change deflicker setting to work in 480p or higher, and always enables vfilter so that the user can easily change brightness. – WIIU: Implement UDP broadcast network logging on Wii U. – WIIU: Audio should no longer clip. Snes9X GX est le meilleur émulateur Super NES du marché, par Tantric. This is release for version 4.3.6, it gets a lot of Zopenko's features, other additions and fixes, we just pick them and join them. 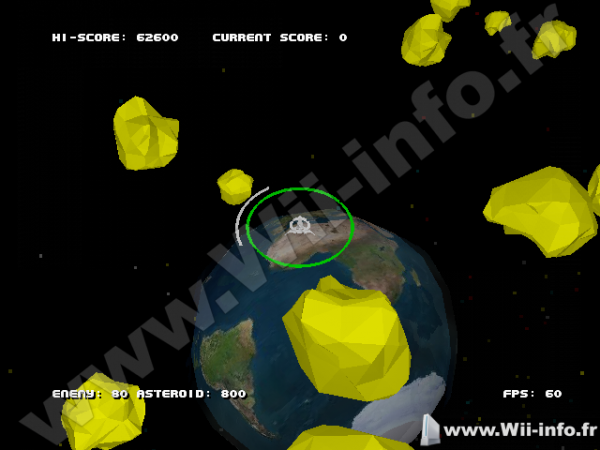 Owen nous livre Newo Asteroids, un jeu du style "Asteroids". Vous devez détruire des astéroides du système solaire pour ramener la paix dans la galaxie.